Dr. Johnathan Kraus at Love Never Fails International shared, “Our dream was to bear the ECFA seal to demonstrate to donors that we are transparent in our finances. The seal shows that we are committed to doing everything possible to ensure that donors’ hard-earned money is used in a trustworthy manner for Kingdom work.” ECFA accredited Love Never Fails International as a member on June 1, 2017. 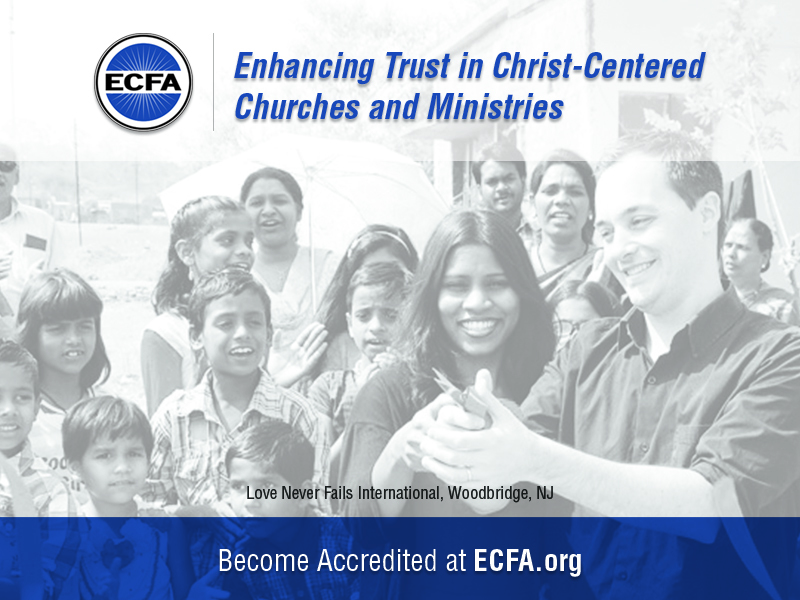 Founded in 1979, ECFA provides accreditation to leading Christian nonprofit organizations that faithfully demonstrate compliance with established standards for governance, financial accountability and responsible stewardship. ECFA accreditation is tangible assurance to donors that their contributions are being handled with high standards of integrity. Having such assurance, donors give with confidence. Other ECFA accreditation benefits include the ability to use the ECFA seal and access to a wide range of valuable, up-to-date resources such as webinars, eBooks, articles, and much more. Join Love Never Fails International as an ECFA accredited organization by applying today at www.ECFA.org.